That’s right, we’re writing to you from the present again! No more one-hour time delay between our current events and you’re reading of them. As soon as we left Bass Lake, Indiana, where they charge you far too much to camp for a night and the little kids yell late, the dogs yip all the time, the Indianan’s wake up early and don’t bother keeping their voices low because, you know, someone might be sleeping in that tent over there, but hey, whatever, it IS Saturday night, the time leapt forward an hour. So far, the present is a bit nicer than the past. It’s sunny, warm and Gary, Indiana is behind us. The roads mostly have a well paved shoulder, and the cornfields are uh…pretty, in their ubiquity. Of course, if you’re reading this anywhere west of Indianapolis, we’re writing to you FROM THE FUTURE! I hope your internet connection is fast enough to download all of our photos. Not much has changed here in the future. I don’t know if you’ve got androids yet, but they still haven’t turned on humanity in general, and the alien spaceship hovering above earth continues to provide a limitless, clean energy source for 98% of the planet. Hope you’re all doing great. We’ll be in Indianapolis tomorrow night. Hey, we’re in Indiana! No, wait, we’re in Michigan! No wait, we’re in Indiana again! Michigan was only 10 miles away, and about 5 miles out of our way, so we figured we’d just go! Then we turned back south into Indiana and promptly took a wrong turn, so we’ve gone close to 30 miles, but we’ve only advanced something like 12. Also, it’s raining and Indiana roads are terrible. We’re at a diner now, and they take American Express. Thanks, Dave. It’s a good week to totally screw up. We’ve got plenty of time to kill. I try to make it hard to daunt my positive outlook. In the most adverse of situations, I always know an end is imminent and this minor suffering will soon cease. Challenges are things to relish. When I absolutely must bear through an awful situation, I do it with the knowledge that this is something I know I can deal with, and can only be stronger because of. Having said that, I couldn’t wait to get the f*** out of Gary, Indiana. What a f***ing s***hole. Every minute we spent trudging through the poisonous air of that town, I felt worse and worse about life in general. The overwhelming stench of industry permeated not just every gasp of air I sucked into my lungs, but tarnished my soul as well – nearly irrevocably blackening it to any positive account of my day and this trip. Our past week in Madison, Milwaukee, and Chicago recharged our zest for the vibrancy of the city and reaquainted us with the connections of friends and family that make life worth living. This second half of our trip was rooted in a refreshed physical and mental state. We felt great. Gary, Indiana almost killed that. 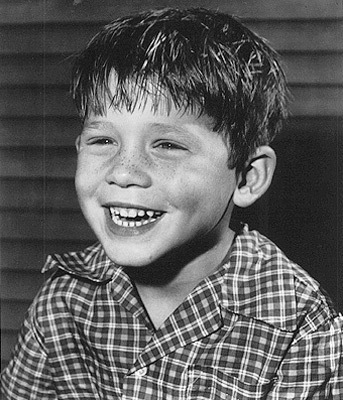 Ron Howard as a little kid, you’re out of your mind. That’s all I’ve got to say. For now. Zack, Adam and Johnny won the most improved team award..and got some sweet wheels. The RVA polo guys.. (richmond, virginia)Â I love these guys!! packing up the polo bikes and saying goodbye to our nyc friends. sad to see them go. two.arm.party is powered by	WordPress 3.3.2 and delivered to you in 0.183 seconds using 38 queries.